Is it a dining room table or a sculptural masterpiece? Well it’s both, actually. 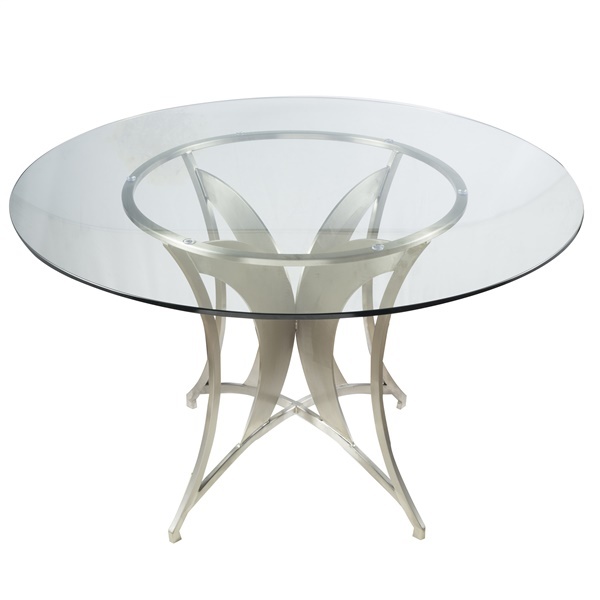 The Drake Modern Dining Table offers a truly unique design, from its sharp, curved and sculptural stainless steel base to its simple yet functional rounded glass top. The perfect blend of style and function, the Drake Modern Dining Table instantly establishes itself as the standout piece in your décor.